Cupcakes can turn any situation into something pretty special, but when packaged in eye-catching, adorable, or quirky boxes, it takes this humble treat to a whole new level. Today you’ll find 40 of the most amazing DIY boxes to store your sweet treats in. The best part? We’ve really thought ‘outside of the square’ with this one, so you’ll find cupcake boxes in all sorts of shapes and sizes to suit just about any occasion. Activida des Familia has provided readers with a free printable template so that they can recreate these colorful and fun cupcake boxes. These would be perfect for your next set of party favors, don’t you think? If you or a friend is having a baby shower any time soon, you may want to consider creating these free printable cupcake boxes, courtesy of All Things Handmade. They come in yellow, pink and blue too! Learn how to make these beautiful cupcake designs by following this insightful tutorial from Better Life Bags. You can even substitute these with your own favorite patterns. How fun is this DIY zombie cupcake box, courtesy of the talented Bren Did? This design is available as a free printable so it’s as easy as cutting it out and folding it all up! This is a thrifty and affordable way to package cupcakes from Casa di Falcone – simply use an empty egg carton! You can jazz it up as much as you want too. Isn’t this wooden cupcake carrier magnificent? Cherished Bliss will show you exactly how to recreate this handy (and simple to create) container. If you want a top-of-the-range cupcake container that you can print and fold yourself, why not purchase this template from Claudine Hellmuth via Etsy? It’s affordable and fun to make! Speaking of fun and affordable cupcake boxes, here’s another brilliant template on offer from Claudine Hellmuth’s Etsy store. While there are plenty of free cupcake boxes available online, you have to admit that this one is pretty special! These printable cupcake boxes are from Craftaholics Anonymous and they’re the perfect printable to use next time you want to give a loved one a special, sweet treat. How about making a calorie-free cupcake that can also be used to house a calorie-packed cupcake? Damask Love actually created this DIY design to store all sorts of things in, so get creative with it! This cupcake box from Gaia Marfurt has a beautiful design and the good news is that you can also download this template for free, ready to print it out and fold it up yourself. Brilliant! These cupcake holders have actually been made from paper cups – isn’t that thrifty? Gedane will show you how she folded hers to look this amazing. Blue and pink polka dot cupcake holders are sure to win over all of your guests! Gi Det Videre has an insightful tutorial to create these, so be sure to check it out. 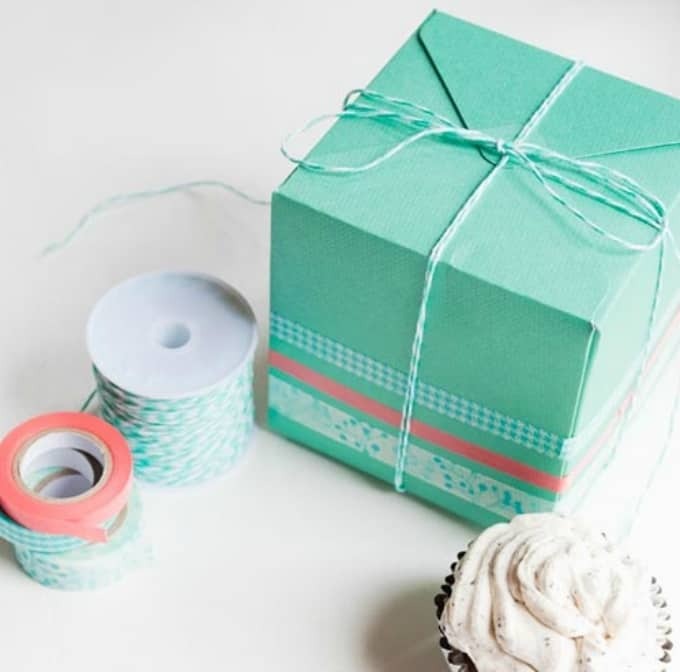 Package some birthday cupcakes for a special boy or girl with these awesome DIY boxes from Hello Cupcake. We love the see-through lid which allows people to see the sweet treats inside too! This is a very budget-friendly DIY cupcake box idea from It’s Always Autumn! You simply use a paper plate and fold it according to the tutorial’s directions. Simply find a box (or print your own template) and adorn it with these gorgeous printable tags from Jenny Steffans. She’ll show you how to create this wonderful cupcake container from scratch. “When in doubt, eat cake” – such wise words from the amazing Kikki K! Recreate these much-loved cupcake containers by following this step-by-step tutorial. How adorable are these DIY oven cupcake box templates from Made by Marzipan? They’re free to download and print, plus they’re a breeze to assemble together. Celebrate a great teacher with a delectable cupcake gift, and while you’re at it, you should also package it in this DIY ‘A+’ design from Make Bake Celebrate. Too easy! 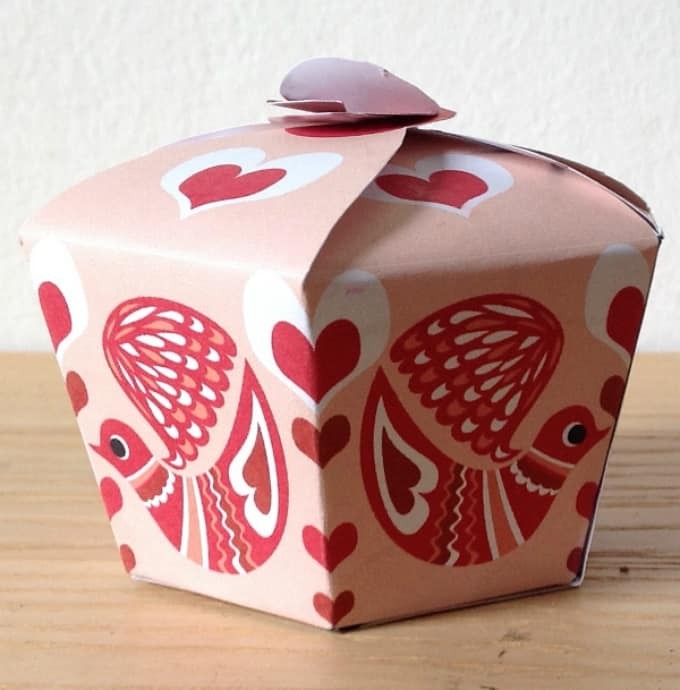 With a simple box (already bought or folded yourself) and some colorful washi tape, you too can make this pretty cupcake box, just as Making the World Cuter has done! 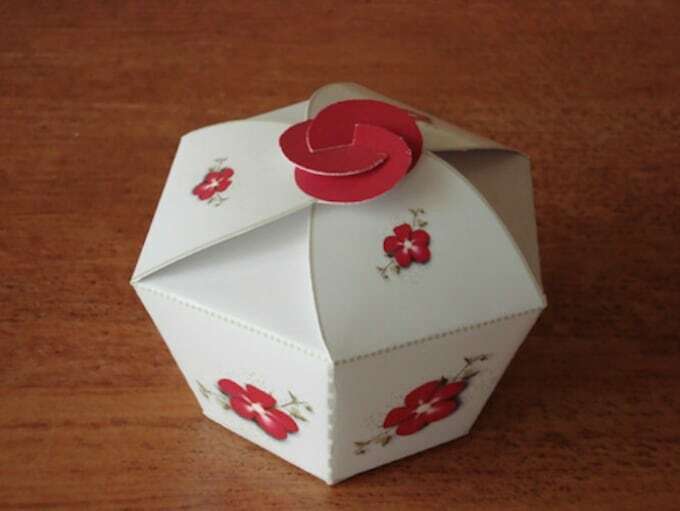 This dainty little cupcake box is courtesy of Miriam’s Scrap – isn’t it lovely? It’s the perfect accompaniment to a girls’ tea party. If you’re thinking of giving cupcakes on Valentine’s Day, don’t look past this gorgeous DIY box from My Little Craft Blog! It’s adorned with hearts and is the perfect packaging for any sweet treat. Here’s another thrifty and crafty DIY idea, this time from Myrtle and Grace. It’s the perfect way to package your cupcakes when you’re giving away a large number of them! Keep your cupcake safe by turning a glass jar into the perfect cupcake carrier, just as Nellie Bellie has done. It’s also a really cool way to gift your sweet treat to a loved one. Spread the love with this DIY cupcake box idea from One Charming Party! Simply print the labels and decorate your own container to instantly add wow-factor. This would have to be the most adorable cupcake (or sweet treat) packaging we’ve ever seen! The best part is that this little guy is actually free to print from Packaging of the World, so all you have to do is assemble it yourself. Here’s a wonderfully creative DIY cupcake favour box from Paper Loving for you to add to your collection. This would go down a treat at a girl’s birthday party or even at a baby shower! Carry your cupcakes in style, thanks to this DIY cupcake container idea from Parties for Pennies. You’ll love how she easily transformed a plain box into this masterpiece! 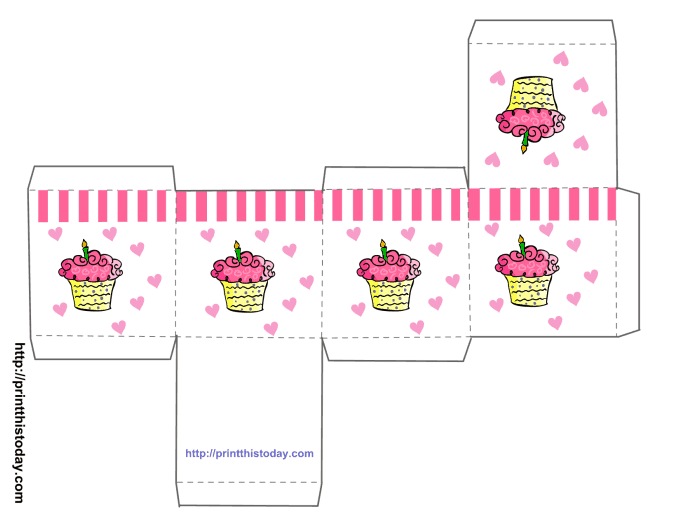 This awesome printable from Print This Today is pretty straight forward – simply print and assemble before dropping your cupcake into it! The cute cupcake design is sure to turn heads too. Print This Today has done it again with another stunning DIY printable cupcake box in a yellow, floral print. What occasion will you use your packaging for? This beautifully designed cupcake box is from Sarah’s Ink Spot and it even features an adorable owl! Children and adults alike are sure to love this one. Is this one of the prettiest floral cupcake boxes you’ve ever seen? Split Coast Stampers will show you exactly how it’s done – exciting! Make everyday a cupcake kind of day with this printable cupcake box label from Stamping Country. It’s perfect for whipping-up cupcake packaging in little to no time! This video tutorial from Sweet Bio Design will teach you how to make this extremely beautiful cupcake box – how sweet! This is perfect for those special occasions. This wooden cupcake carrier is super easy to create, thanks to this tutorial from That’s My Letter! It’s the easiest and safest way to transport your cupcakes too. Here’s another fancy wooden cupcake carrier which will keep your cupcakes safe until you reach the party! It’s also a breeze to make, as The Home Steady will show you. The Party Girl reminds us all that we should “treat yo’self”, especially with a delicious cupcake packaged in this DIY box! This crafty project will also make the perfect gift for a loved one. If you love LEGO, you’ll be pleased to know that you can also combine that love with your affection for sweet treats, thanks to this DIY box found via Hale Grafx. Amazing! Here’s another cupcake box that you can create through following this detailed tutorial via Samantha Lee Walker. Isn’t it gorgeous? Here’s a quick and easy way to create a carrier for your cupcakes…in style! What is in the Fridge has a great step-by-step tutorial that you’re going to love. Ta-da! We hope you enjoyed those crafty and clever DIY ideas for cupcake boxes. Which ones were your favorites? We’d love to hear from you in the comments section below!